Fort Wayne speedway was built in 1928 by Frank Funk within the local Fairgrounds, Funk also built Winchester Speedway and Dayton Speedway as well as others, The Fort Wayne track was described as high banked, fast and treacherous, The track was 5/8th of a mile in length. 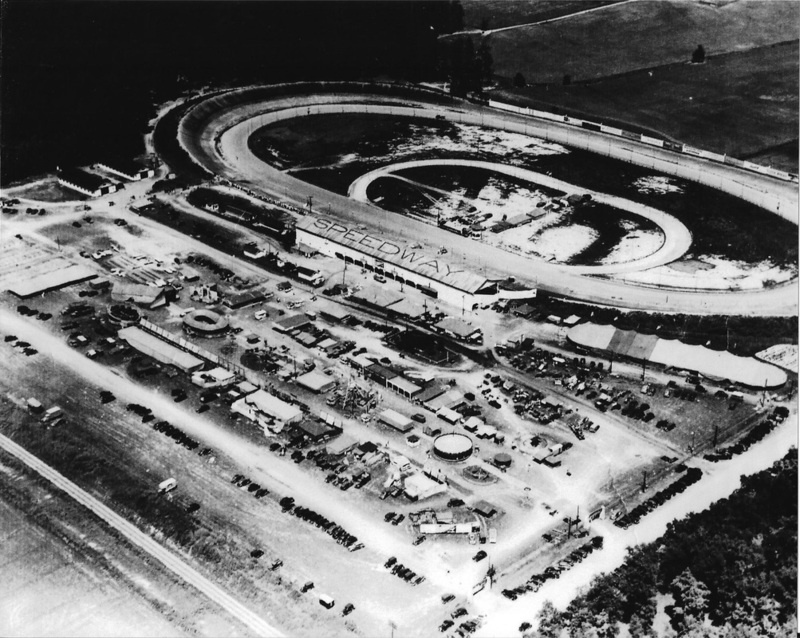 In 1946 two further tracks were added inside the 5/8th mile oval, these tracks were concidered by some as the fastest dirt oval tracks around, The 1/2 mile track utilized both straights but had shorter corners, while the 1/4 mile Midget track utilized part of the front sraight only. The track surface was not kind to the drivers with many dips and hollows across its width and length, The outer safety rails were very low and cars would often launch out of the arena. The Fairgrounds closed in 1964 and the land was sold off to become Industrial land. 1940 - Stuart Huffman lost his life in this car after an accident. Photo: Northern Indiana Racing Museum facebook.